I awoke at 3:30 this morning to the sound of rain falling. I think I could hear the trees rejoicing as well. We got half an inch. I’ll take it! Author sheila365Posted on 08/03/2017 Categories Flowers, Life, NatureTags 365 project, central texas, gardening, photoblog, rain, summerLeave a comment on Every drop counts. It was a wet one yesterday – it rained all day here. Even the squirrels were trying to keep dry! Author sheila365Posted on 03/12/2017 Categories Critters, Life, NatureTags 365 project, photoblog, photography, rain, squirrelLeave a comment on Rainy day. What a difference a week makes. Last Saturday we spent the night on the boat and enjoyed a sunny weekend with temps in the 80s. This week the temps are in the 30s with lots of wind and rain. 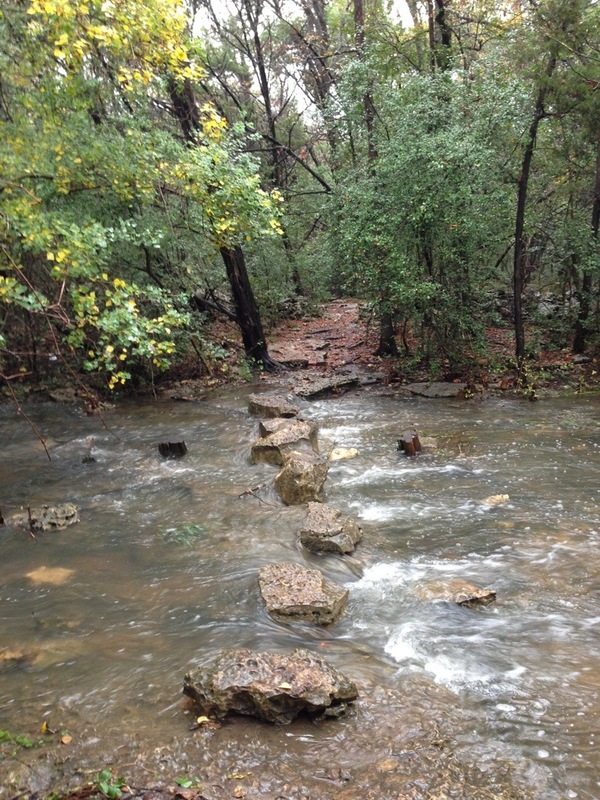 This morning I took a walk in the rain through the greenbelt at the end of our street. A creek cuts through the woods there. But it is dry most of the time, due to the endless drought. Today there is a creek where one should be. Author sheila365Posted on 11/23/2013 Categories Life, NatureTags 365 project, Austin, central texas, creek, photoblog, photography, postaday, postaweek, rainLeave a comment on Checking out the creek. A (more specific) prayer for rain. I’m very happy to see all the rain that has been sent our way. 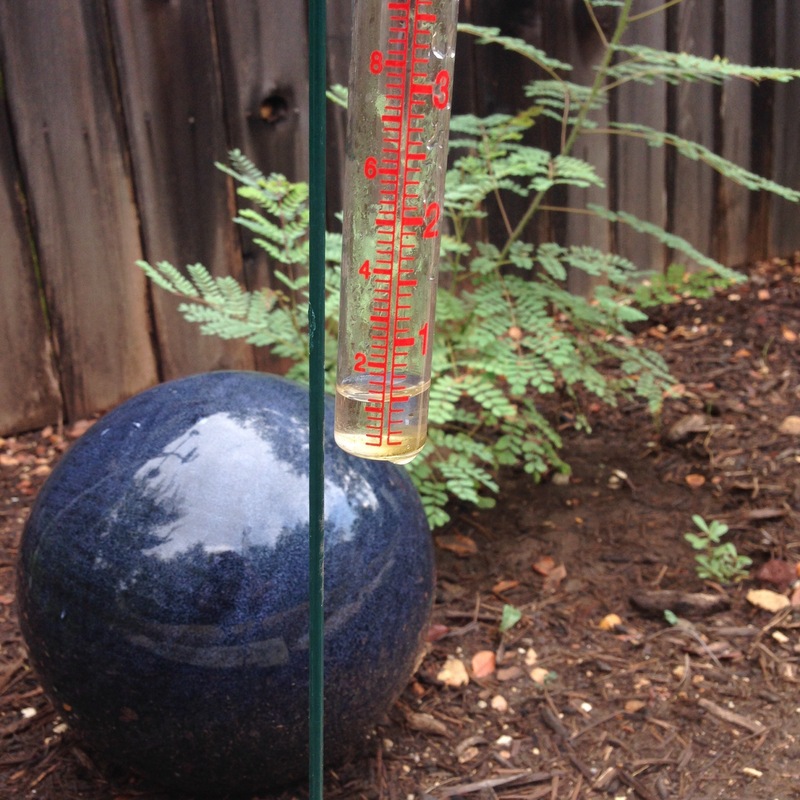 It’s an answer to countless prayers over the last few years of severe drought in Central Texas. I’m sure the Austin City Limits music festival-goers are bummed about yesterday’s cancellation, but they did have an extra weekend of music to enjoy this year. My trees and lawn are drinking in this much needed water. It’s truly a gift. I see that there is more rain in the forecast for this week. So, more thanks in advance for that. 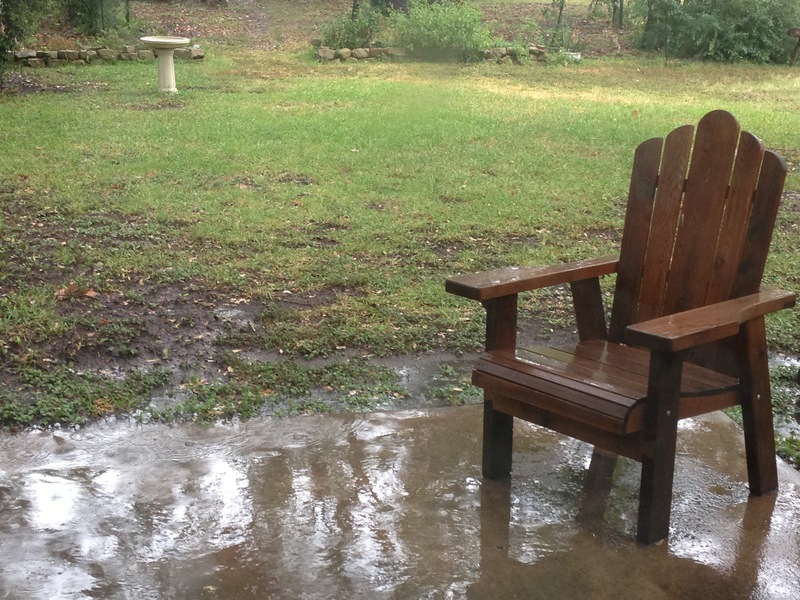 But I’m sending a humble prayer for that rain to drop in the Lake Travis watershed. Right over Marble Falls and Burnet would be simply awesome. Or even a bit southwest of that, in Fredericksburg, Johnson City or thereabouts would be fantastic, as all that rain would end up in the Pedernales River, which feeds into Lake Travis. After all the rain in the past week, Lake Travis is up only 2′. And I do sincerely appreciate every drop that ends up in the lake. But we need to come up more like 50-60′. So, I’m praying for it to dump buckets of rain in the shaded are below. That would be divine. Seriously divine. I have another prayer for better management of our lakes and water reserves than what the LCRA has provided over the last decade or so, but I’ll leave that for another day. Just please keep the rain coming. Author sheila365Posted on 10/14/2013 10/14/2013 Categories inspiration, Lake, Life, NatureTags 365 project, central texas, drought, Lake Travis, photoblog, photography, postaday, postaweek, rain1 Comment on A (more specific) prayer for rain. …but I’ll take it!! It started raining today, slow and light rainfall but it is most welcome. We need 90 days of this. 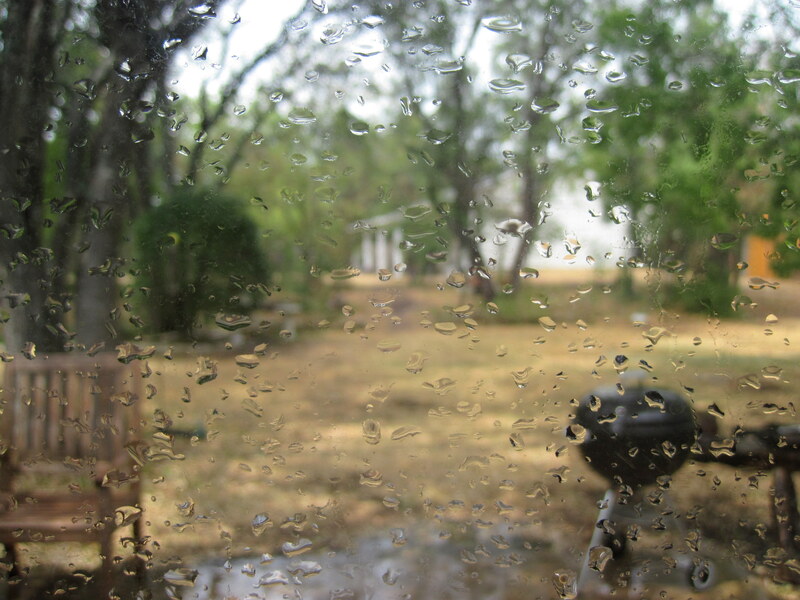 Author sheila365Posted on 07/15/2013 07/16/2013 Categories Life, NatureTags 365 project, central texas drought, photoblog, photography, postaday, postaweek, rain2 Comments on Drizzle, not deluge. TGIF of a 3 day weekend. As much as I have been desperately awaiting this weekend to spend on the lake, I am ecstatic that we are finally getting some rain. It can rain all weekend as long as it all runs into the lake. Author sheila365Posted on 05/24/2013 05/24/2013 Categories Lake, NatureTags 365 project, downpour, drought, photoblog, photography, postaday, postaweek, rainLeave a comment on Finally. I took this shot of the plumbago out back before the rain that’s in the forecast (yay!) gets here. It’s an amazing plant; can withstand pretty much any drought and heat. This one is sprawled over half of my flower bed. So pretty. There’s another coldfront coming in from the north tonight. I can hear thunder already. I hope this one is a super-soaker. Today the marina was planning on moving our dock to the end of another dock, since the lake level continues to drop and it’s now too shallow where E-dock currently is. Author sheila365Posted on 07/10/2012 07/11/2012 Categories Fun, inspiration, Life, Light, Music, Nature, TravelsTags 365 project, dance, photoblog, photography, postaday, postaweek, rain, raindance, where the hell is matt. matt harding2 Comments on Come (rain) dance with me! 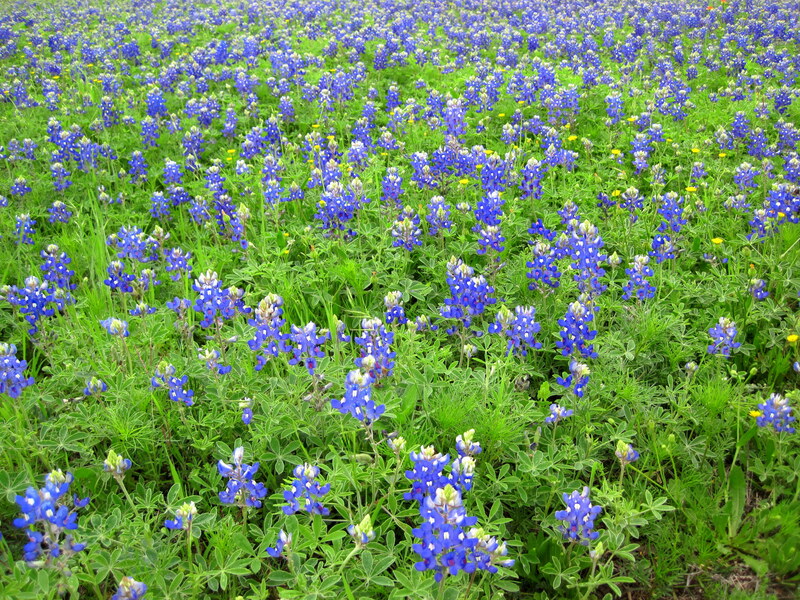 Author sheila365Posted on 03/22/2012 03/23/2012 Categories Flowers, inspiration, Life, NatureTags 365 project, bluebonnets, central texas, Flowers, gardening, irish blessing, nature, photoblog, photography, postaday, postaweek, rain, wildflowers3 Comments on After the rain. I decided to take the afternoon off today. So Monte and I went out to lunch, something we haven’t done in a while. 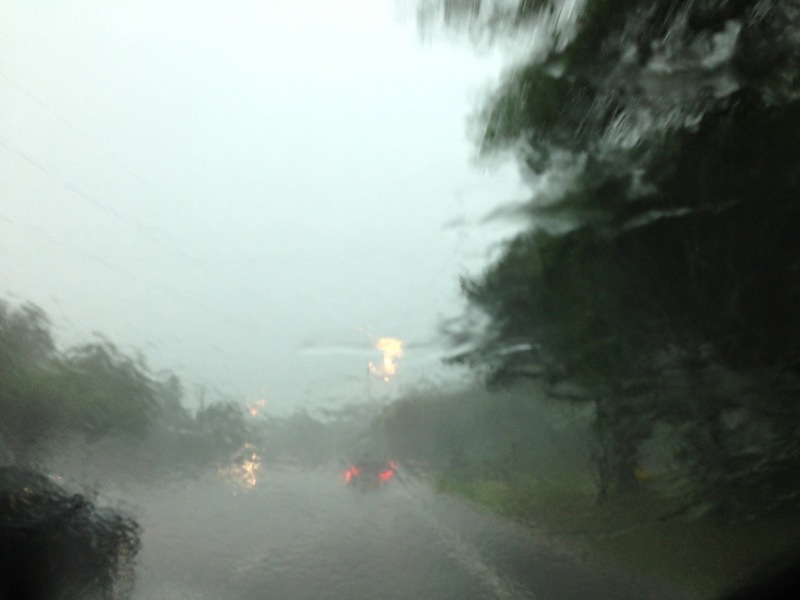 As we were getting back in the car, it started to sprinkle. We stood there in awe… It has been so long since any rain has fallen, and even longer since any rain that has fallen has stuck around long enough to make a difference. By the time we got to our house it was raining lightly, but only for about 15 minutes or so. Let’s hope there’s more in store in the next few days. Author sheila365Posted on 09/16/2011 09/17/2011 Categories NatureTags 365 project, central texas, drought, photoblog, rain1 Comment on Hallelujah! !